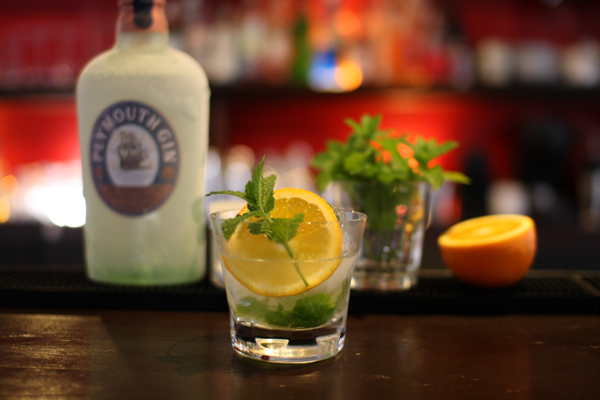 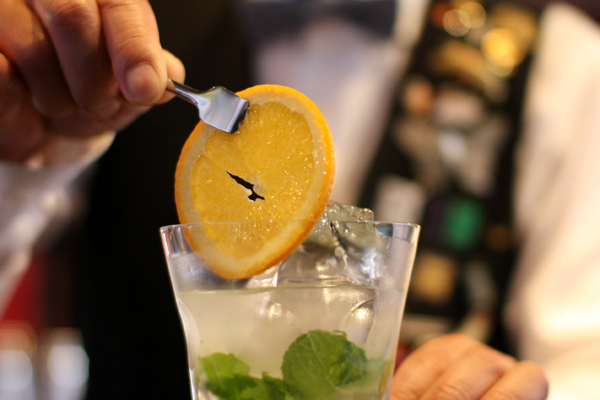 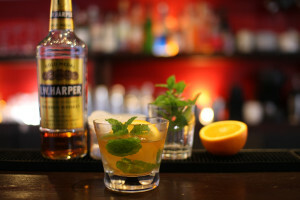 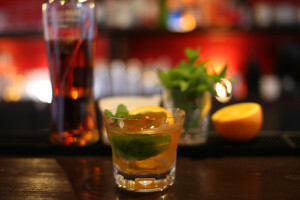 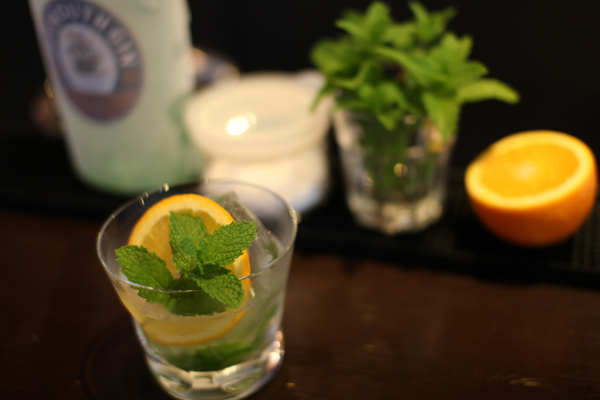 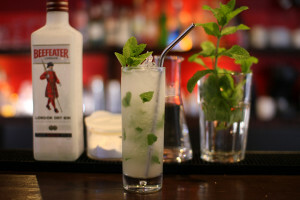 Smash 4 mint leaves in a glass,pour gin and sugar,stir.put some ice and stir.Garnish with orange slice and mint. 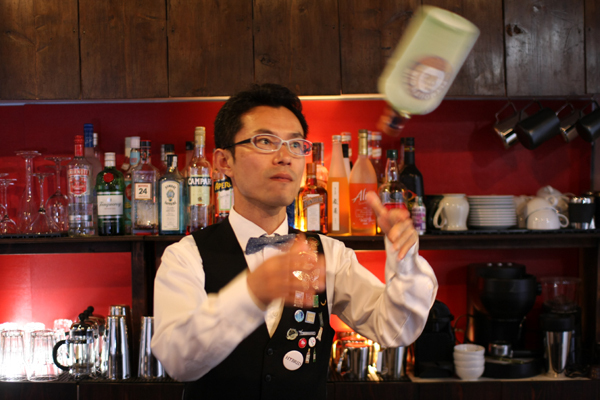 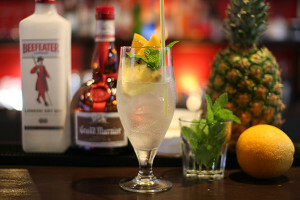 Today’s cocktail is Gin Smash. 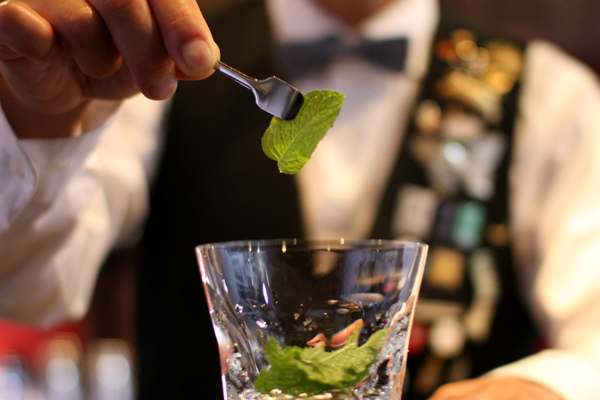 Smash 4 mint leaves in a glass. 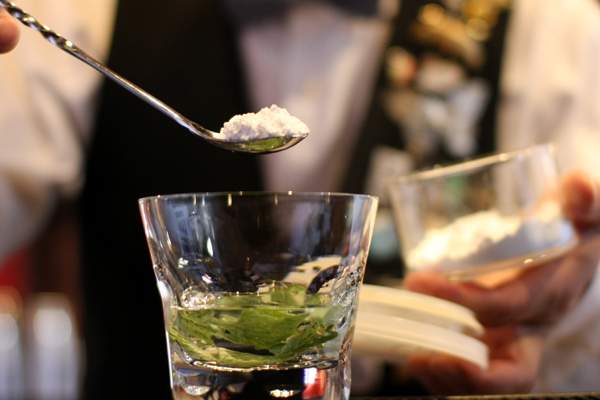 Put 1tsp of sugar,stir and put some ice. 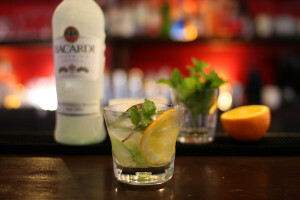 It’s too strong for me.I’ll make with crushed ice next time.